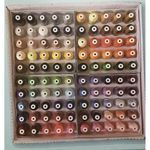 Just starting to sew, and want a high-quality easy-to-use machine with features to help you tackle your first sewing projects? Or perhaps you're a more advanced designer in need of a workhorse for garment construction? Or maybe you want to add gorgeous embellishments to your wears? The Simplicity Limited Edition family of machines by Brother is for you! The new Simplicity by Brother Machines also make your shopping selection easy. Each machine is named for it's strongpoint in mind. Choose from:"Simply Affordable","Simply Elegant", "Simply Brilliant", "Simply Creative", and "Simply Fashionable". You can choose from the most basic mechanical sewing machine, computerized and professional sewing & quilting, to embroidery! Inspire your Fashion Sense Want to make incredible runway-ready fashions? 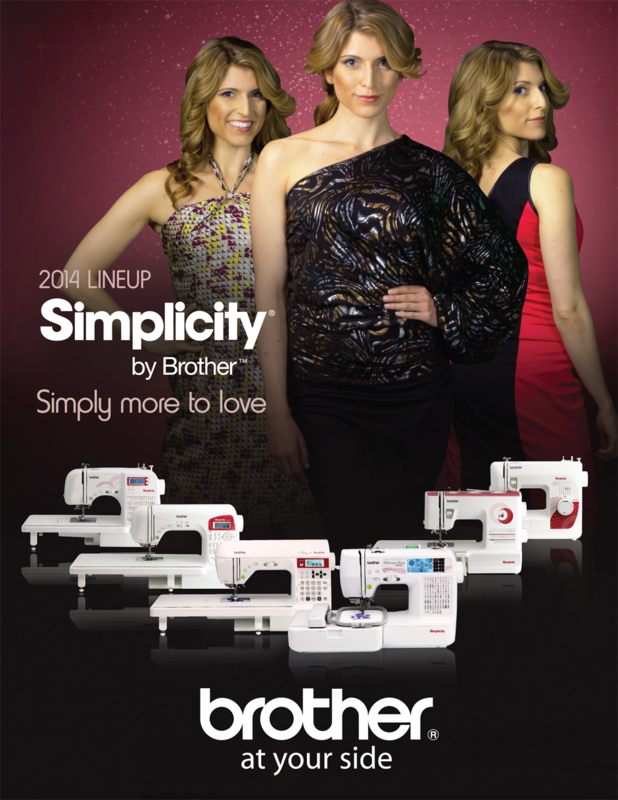 Then look no further than the exciting new Simplicity Limited Edition line of machines by Brother. From the easy-to-learn, easy-to-use sewing machines that gets you started and on your way to becoming a fashion maker, to the powerful embroidery machine that lets you add a touch of embellishments to your garments. 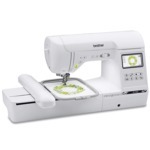 This line of machines was developed for one purpose- to bring out the sewing star in you. The best part? These feature-packed machines are among the most affordable, high-quality you'll find. What do you get when you combine Brother innovation ans Simplicity precision? Simply affordable, incredibly elegant machines.